This is soo simple!! Make vanilla cake and mix in chocolate chips. Dye the mix red and cook. Once cooled ice cupcakes with vanilla icing dyed green. You can pipe it on or just spread. 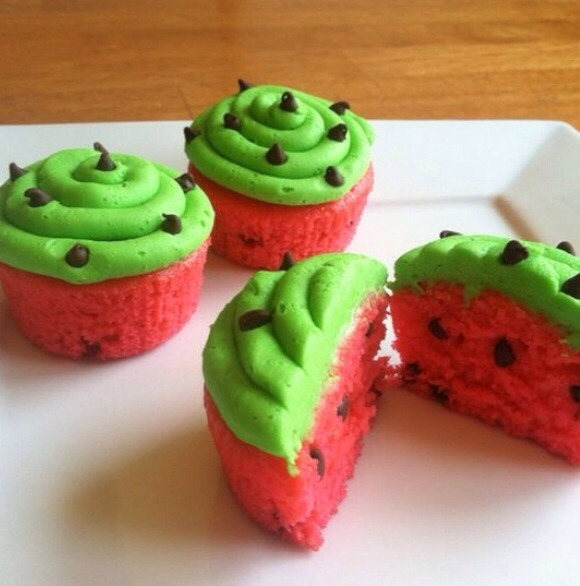 Put chocolate chips on top and you have watermelon cupcakes! !